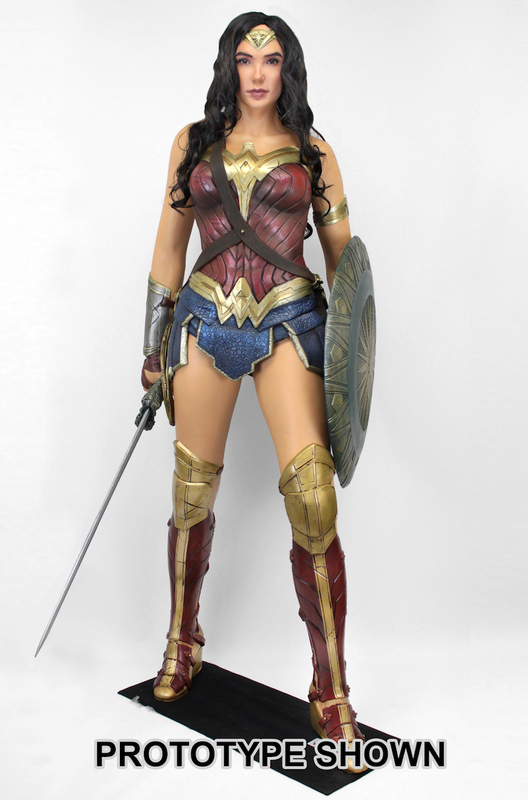 A new life size statue is coming from NECA. 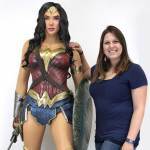 They have shared photos and full details for their upcoming Wonder Woman Life Size Foam Statue. 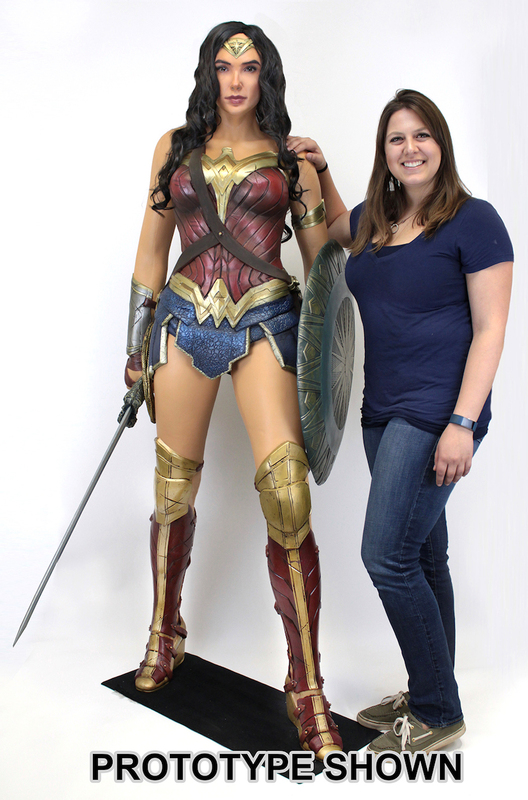 Standing over 6′ tall, the Wonder Woman statue is based on Gal Gadot’s portrayal of Wonder Woman from the new hit film. It is currently scheduled for an October release. See details from NECA below and read on for a few photos. That face looks more like Caitlyn Jenner than Gal Gadot. Points for life size replica though. That woman's waistline looks waaaay Photoshopped. Beautiful. Expensive... My kids would have that ruined in no time. I'll take the one on the right. she nice and thick. I shudder at the thought of what some people will use this for. I have a use for her. she can watch. This is neat. Great for those that want something like this I guess? I don't blame you. I'm already shuddering from the commentary here as it is. Ummm...6'1"? Is that counting the base? Cause Gal is only 5'10". which one is wonder woman? Not the best likeness, but over-all not bad. Never going to own any of these life-sized foam characters myself, but it would be cool to see one of these in a comic shop some day. Good picture opportunity, like the TOS captain's chair at the small Star Trek themed store I've been to. The boots add a few inches.